TOKYO, Oct. 6, 2009 – At CEATEC Japan today, Stantum (www.stantum.com), the pioneering multi-touch technology provider, announced that it has officially opened a liaison office in Japan. Stantum’s new office in Tokyo will allow building new partnerships with Japanese OEMs and touch panel/display/silicon vendors, as well as offering greater commercial and technical support from local professionals to their increasing demand for Stantum’s multi-touch technology. “Japan is crucial for Stantum’s global business goals since it is a leading country for gaming, PC, smartphone, and car navigation markets and also for touch panel and display,” said Robert Pelissier, Stantum’s vice president, sales & business development. The implementation and deployment of Stantum multi-touch technology in professional audio products since 2005 explain its high robustness and reliability, as well as its solid intellectual property foundations. 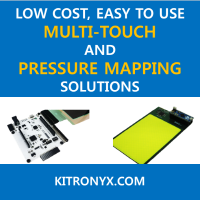 The company now brings highly integrated and production-ready solutions to the market by having its multi-touch technology licensed to leading semiconductor companies. Masaki Kubodera is serving as director of sales & business development for Japanese operations. Kubodera has more than 15 years of sales, marketing and business development experience in the wireless semiconductor industry, with a focus on mobile consumer electronics technologies. Stantum is headquartered in Bordeaux, France, and plans to continue exploring additional opportunities for growth throughout the Asia-Pacific region. Masaki Kubodera can be contacted by telephone at +81 90-5417-7066, by fax at: +81 3-3589-6127, or by email at m.kubodera@stantum.com. More information about Stantum is available on the web at www.stantum.com. Stantum has been the pioneering company in multi-touch display technology since 2002, and in 2005 was the first company to market commercial products using a truly reliable multi-touch user interface. Today, Stantum’s patented and breakthrough multi-touch technology portfolio is available under license of IP bricks (IP core, firmware and software) and associated engineering and design services.